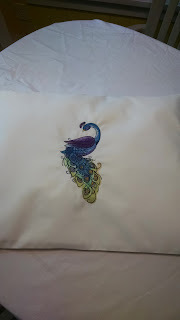 I just had to embroider this peacock. 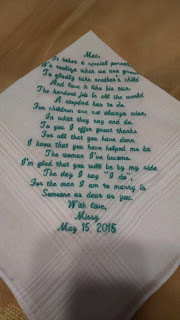 The colors are so beautiful. The peacock is 9" tall. Well, once again, I've embroidered a beautiful design and what should I do with it? The answer was another sham, 26" wide by 20" tall, which is the size of an American Standard pillow. 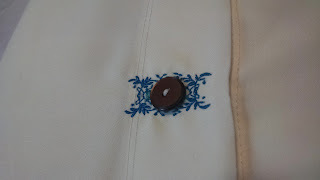 The older shams that I used to make did not include buttons on the back. 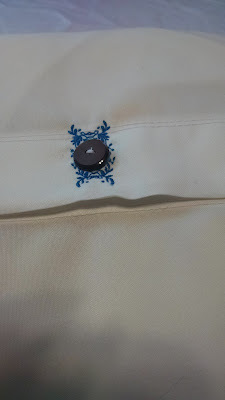 Now that I've discovered that the embroidery machine can stitch beautiful buttonholes, well, why not? 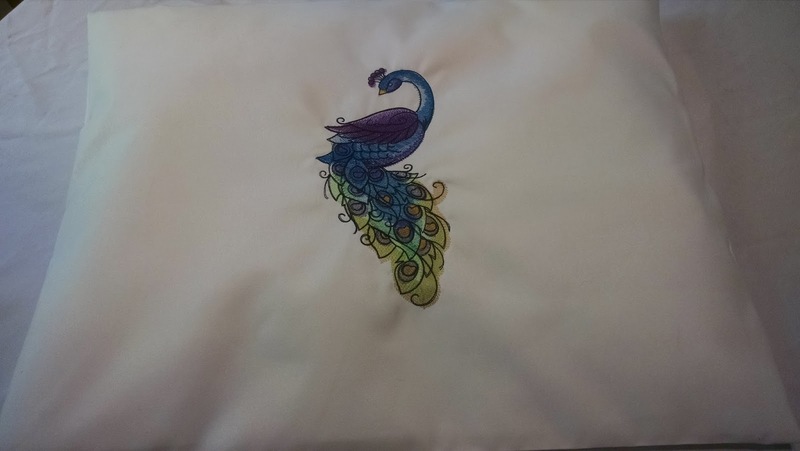 I used a couple of the beautiful colors from the peacock. Not to mention using part of the stash of buttons that I've collected over the years. 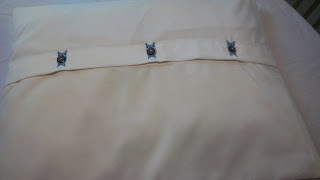 The side seams are french seams. They turned out well but I probably wouldn't use french seams on fabric thicker than this. I think the sham turned out pretty nice. 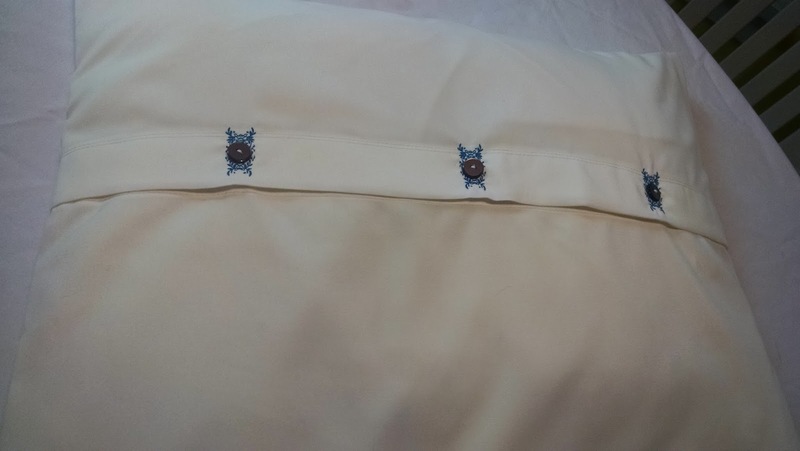 The old pillow that I put inside was smaller than the 26" by 20", but what the heck. 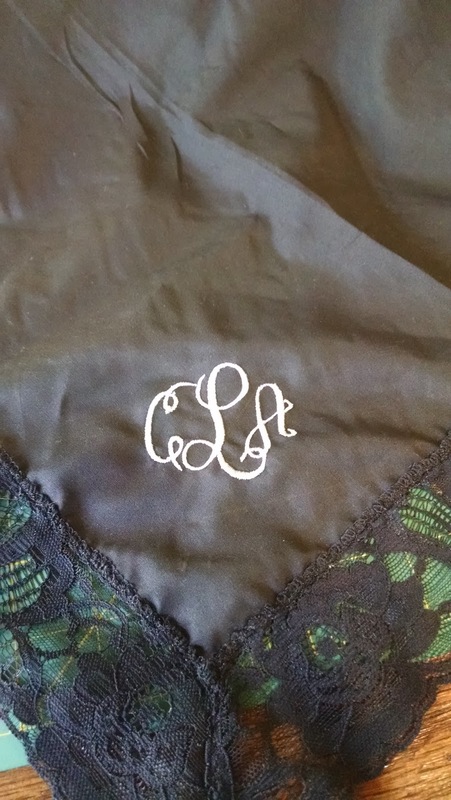 The sham is gorgeous. 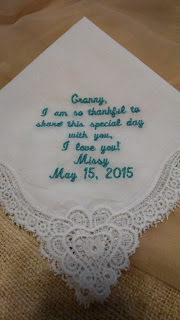 This has been a very busy year so far. 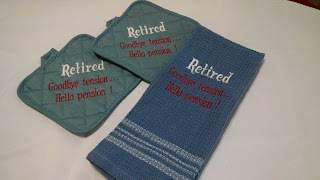 That is great news for us. There have also been some really cool embroideries going on here, too. 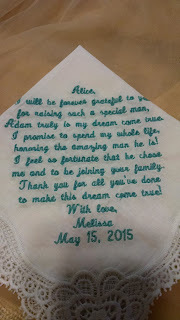 The following handkerchiefs were quite an effort because there was so much text. The customer purchased the handkerchiefs elsewhere and brought them to me for embroidery. 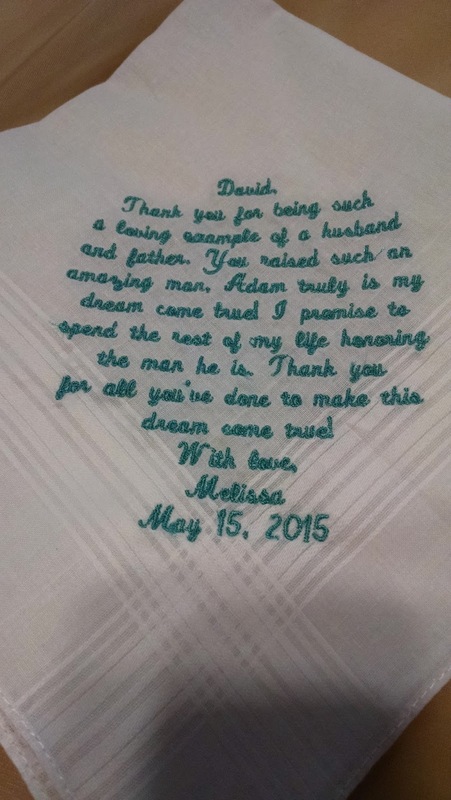 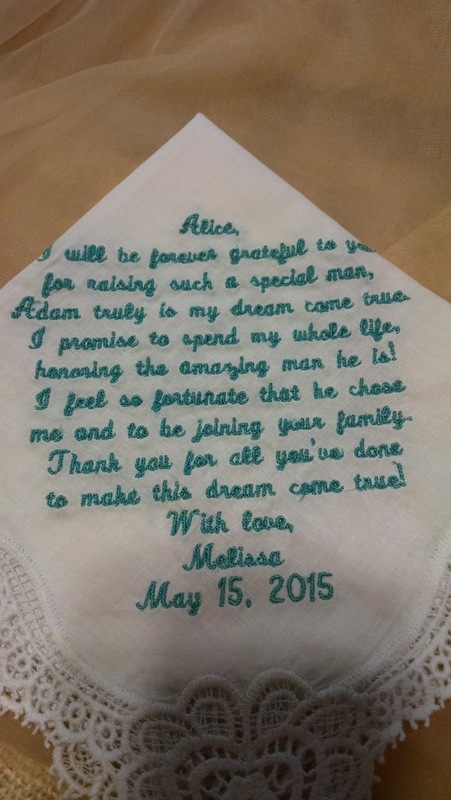 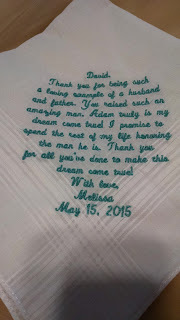 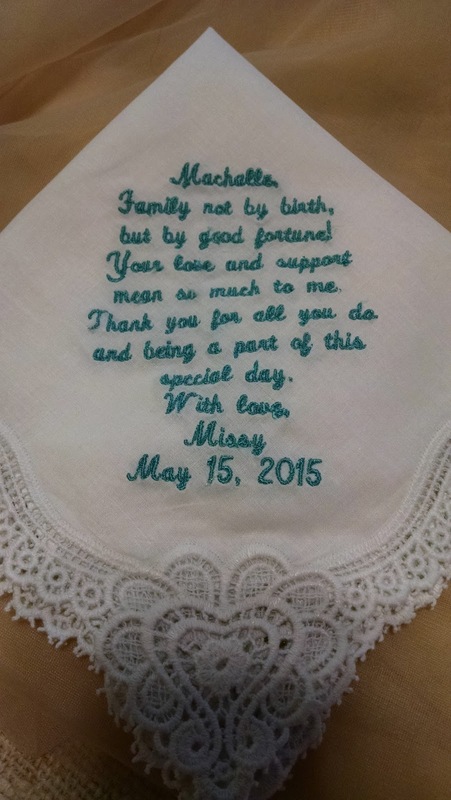 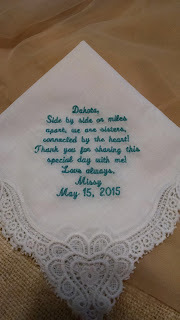 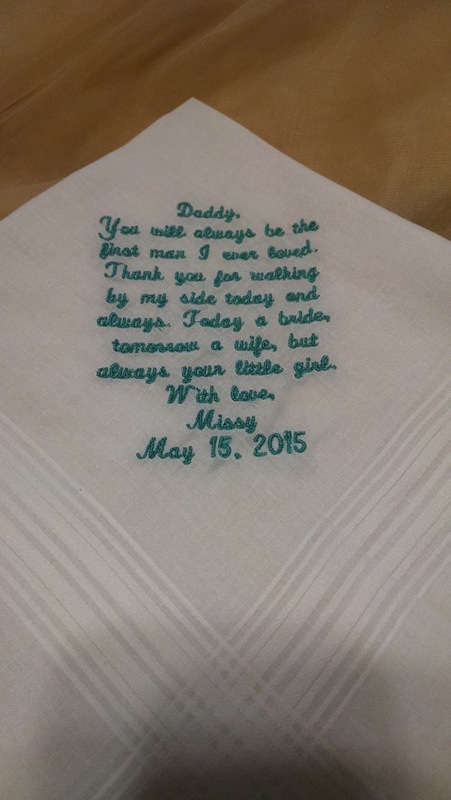 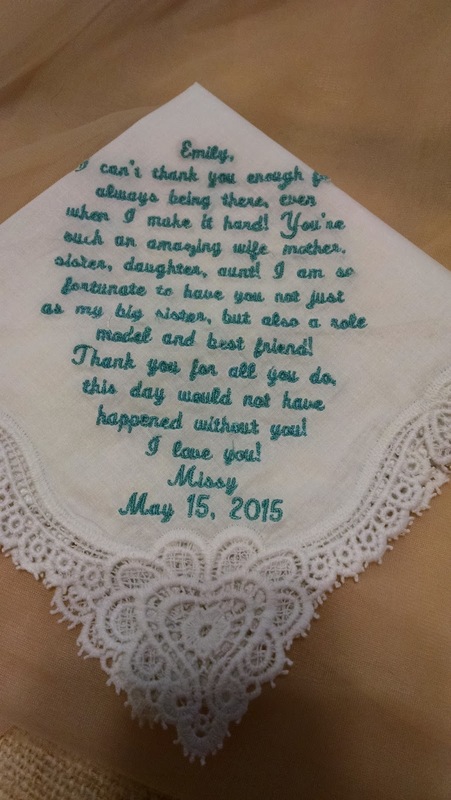 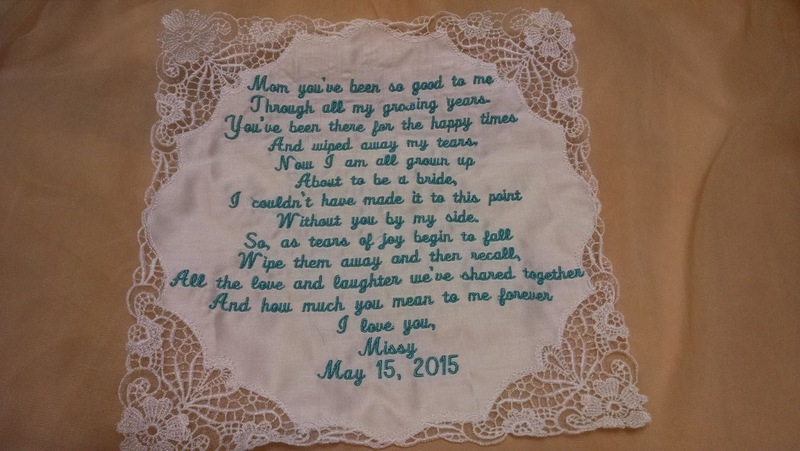 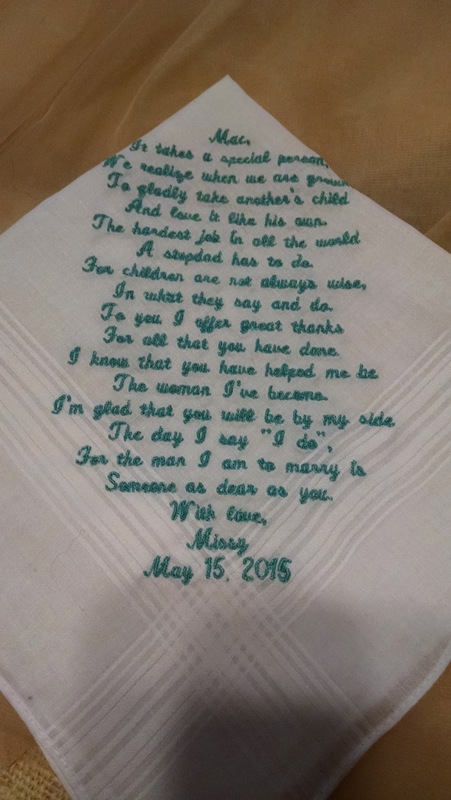 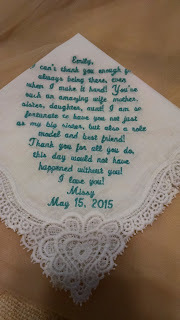 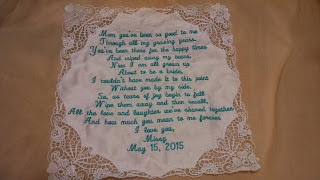 The handkerchief for her mom had so many words that we decided to make the handkerchief suitable for framing. 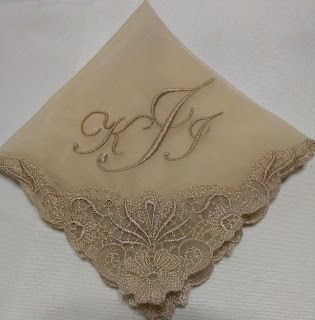 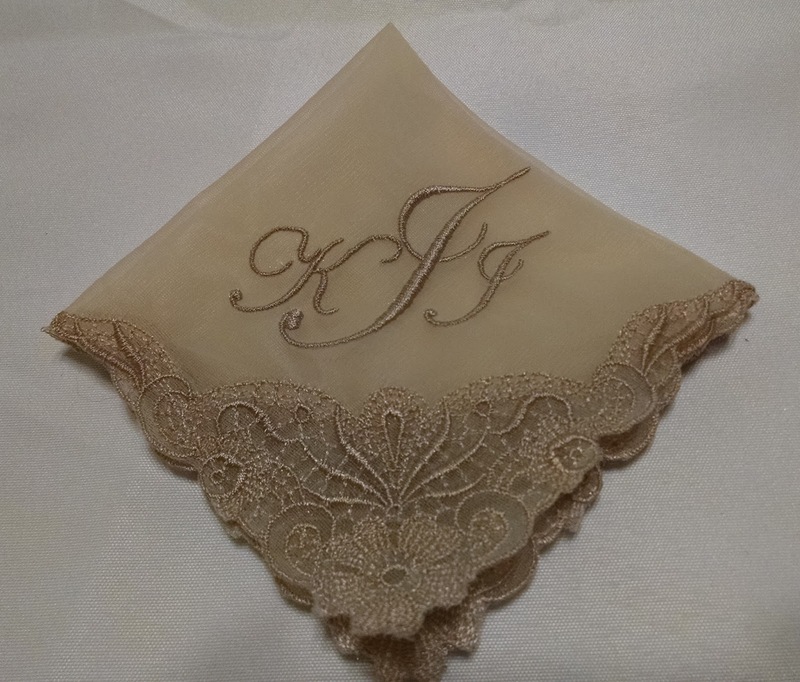 The following customer wanted her handkerchief on a very stretchy, sheer fabric. 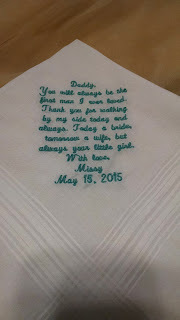 It turned out beautiful and the customer loved it.